TOGETHER WE CREATE THE BEST SPACE FOR YOUR CHILDREN TO FEEL HAPPY AND LOVED. COME MEET WITH US AND EXPERIENCE THE ATMOSPHERE OF NESTLINGUE. Suggest the most suitable day and time for you and contact us here. We are looking forward to meeting with you and your children! Tuition for us ranges from 9.500, - CZK to 20.000, - CZK per month, depending on the mode of attendance. Prices of services can be found HERE. „We are constantly very positively surprised with the progress 'our'/NestLingue children make. 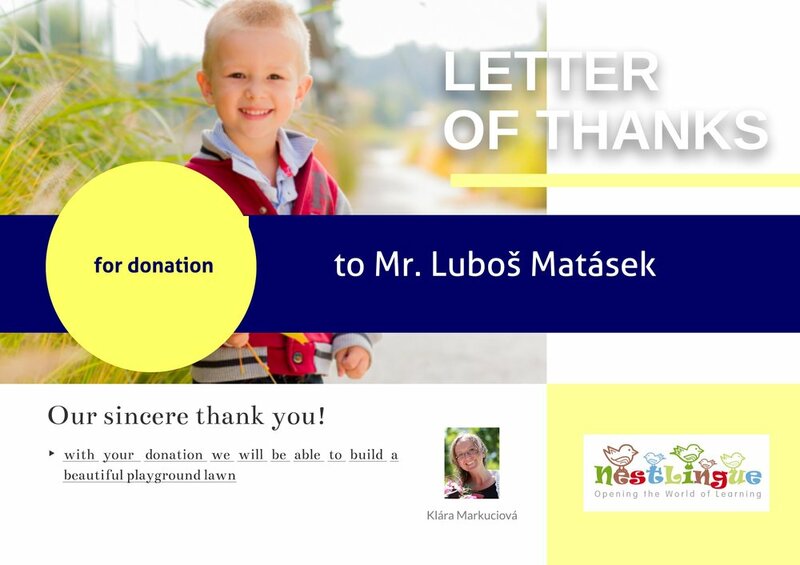 Thank you and the NestLingue team!" You can click on image to enlarge and read the kind words of Khurram and Ayesha.